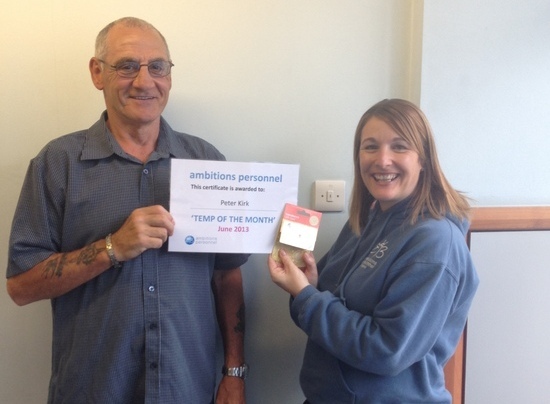 Congratulations to our Temp of the Month for June – Peter Kirk from Worksop! Peter has been part of our Industrial temp team for over a year now and is a valuable asset, his timekeeping and attendance is impeccable and will undertake various assignments at various locations even at short notice. Pictured is Peter receiving his certificate and vouchers from Claire Carter.